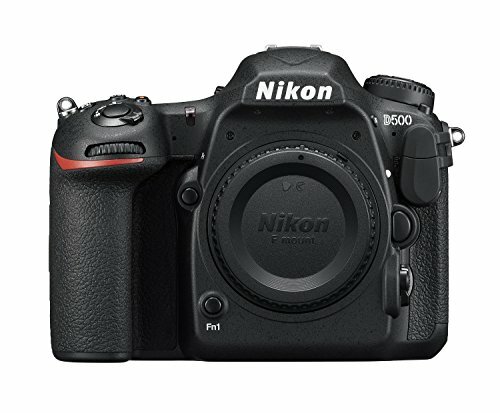 The Nikon D500 is an enthusiast DSLR offering a lot of imaging capabilities with its pro-oriented rugged body. This entry level enthusiast camera comes with the superb 153-point AF system. It gives continuous shooting and produces 4k UHD video. Foregoing an optical low pass filter, Nikon D500 delivers very sharp images. This entry-level camera for enthusiasts has its focus on providing smooth tones and rich colors. It utilizes Nikon’s latest EXPEED 5 image processor. The Nikon D500 shoots images with little noise even when at high ISO speeds. Improvements are noticeable on the body of Nikon D500. It comes with weather sealing just like the Nikon D810. To enhance durability, this DSLR for enthusiasts comes with no built-in pop-up flash. The top and back of the Nikon D500 are made of magnesium alloy. It is further reinforced with carbon fiber on the front. 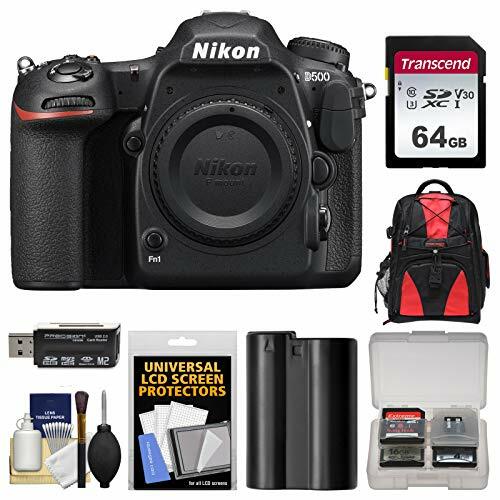 If you need to use a flash on the Nikon D500, this camera works well with Nikon’s new radio frequency capable SB-5000 Speedlight flash. The Nikon D500 is the first Nikon model to have button illumination. You will get improved operations when in dark places. The viewfinder on Nikon D500 has been increased from 0.94x of the Nikon 300 to 1.0x. If you prefer Live View, the Nikon D500 has a tilting 3.2-inch RGBW LCD touchscreen. This high-resolution screen with 2,359k dots is good when you are capturing 4k UHD videos. The Nikon D500 saves 4k frames as 8-megapixel JPEG Fine images. This DSLR camera for enthusiasts can record movies on internal memory and external recorders. 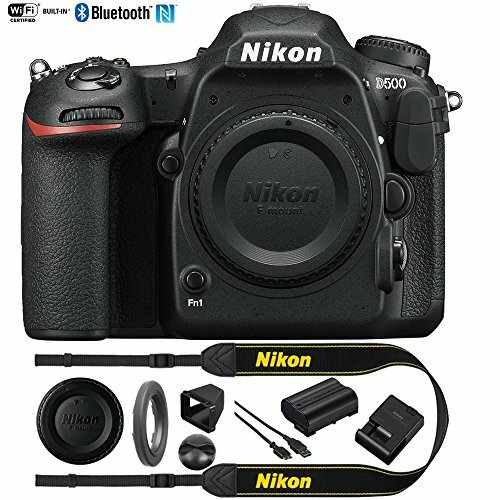 Nikon D500 gives you a lot of connectivity options. Its Bluetooth Low Energy connection will let you transfer images to any mobile device. It is an excellent feature for photographers-on-the-go. Password protect your connections, and you can also use remote control. 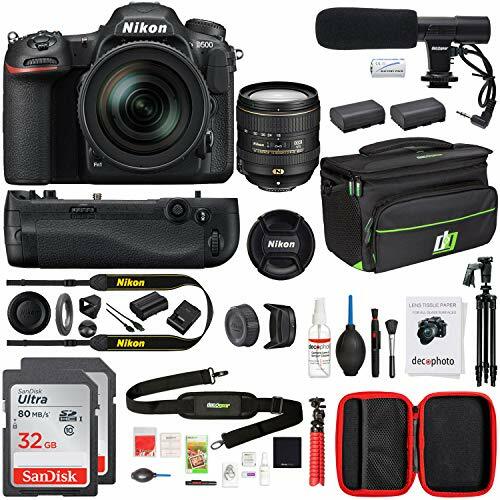 This enthusiast DSLR is compatible with Nikon’s WT-7A Wireless Transmitter. It works for wired or wireless file transmission to an FTP server or a computer. This enthusiast DSLR comes with 20.9-megapixel CMOS sensor. It captures images with fewer noise thanks to its lack of an optical low-pass filter. 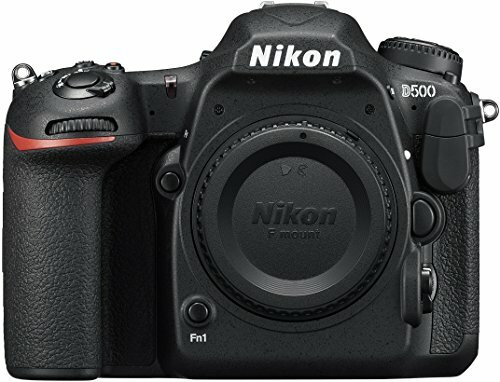 Nikon D500 provides cleaner images which I impressive of an APS-C camera. With the all-new 180k-pixel RGB metering sensor, the Nikon D500 delivers right white balance. The D500 is among the best DSLRs we've ever tested. Its strengths are its superlative autofocus combined with the ability to keep shooting at 10 frames per second. There are other APS-C cameras that offer similarly excellent image quality but none that offer the speed, ergonomics and dependability of the D500.